JANUARY 3, 2018 (Bowling Green, KY) – This winter, YAMATO: The Drummers of Japan bring their “genuinely theatrical experience” (Times) to the United States for a 30-city tour of THE CHALLENGERS. The US appearances – from January 18-March 19, 2018 – are part of their 2017-2018 world tour celebrating the Taiko troupe’s 25th anniversary. Stops in the US range from colleges and universities to large performing arts venues, spanning the entire nation from Maine to California. tradition. Notably, YAMATO broke from Taiko’s long-standing patriarchy and has always included women in the troupe. And while the members train rigorously, beginning each day with a 10km run and weight training, Yamato imbues each performance with joy and a sense of fun, breaking from the stereotypical stoicism associated with this ancient art form. Founded in 1993 in Japan’s Nara Prefecture and presently based in Asuka Village, said to be the birthplace of Japanese culture, YAMATO travels all over the word with Japan’s traditional Taiko drums, putting its very souls into the unusual instruments, whose sound stirs the hearts of people everywhere. Over the past 10 years, the troupe has performed in 51 countries and regions, giving 3,500 performances for nearly half a million people. 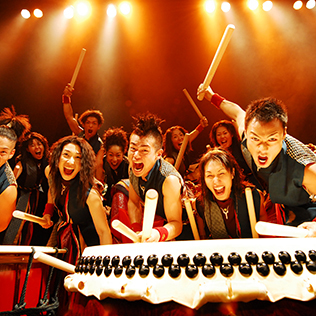 They travel with about 40 Taiko drums, ranging in size from 10kg to 400kg. The troupe lives within the Village and engages in daily strength training, instrument practice, and program rehearsal. Always evolving the potential while respecting the tradition, YAMATO is a modern and relevant ambassador for Taiko drumming and for the Japanese culture from which it derives. YAMATO will play at Van Meter Hall on Friday, February 2nd, 2018, at 7:30 p.m. CST. Doors open at 6:30 p.m. CST. There is general seating and free admission. Limited disability parking is available next to Van Meter Hall and in Potter Lot. For more information, please visit https://www.wku.edu/culturalenhancement/season.php. Any media request must be submitted to cultural.enhancement@wku.edu no later than Jan. 19, 2018.